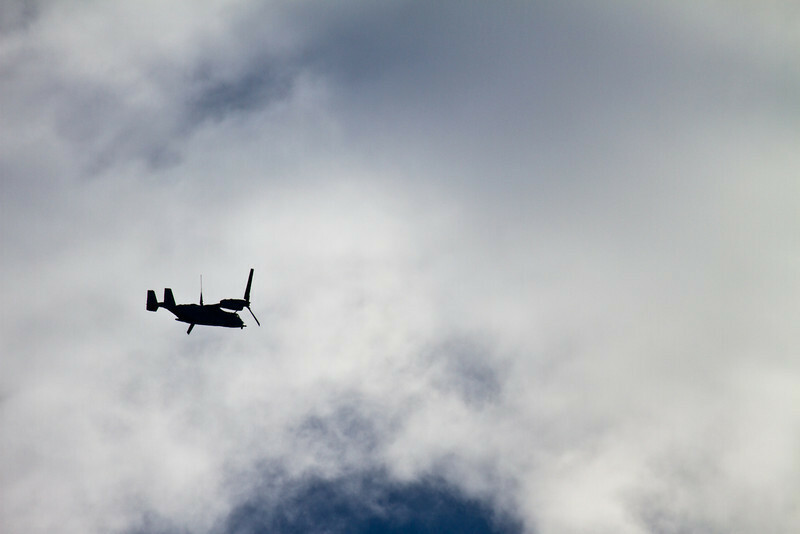 This MV-22 Osprey arrived at Sky Dive City in Zephyrhills, Florida on the morning of February 12th, 2012 for a training evolution with the SOCOM Paracommandos jump team. 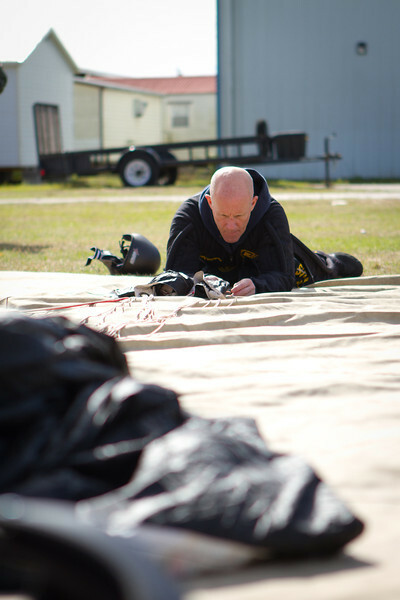 A SOCOM Paracommando prepares to pack away his parachute for the next jump from the MV-22 Osprey aircraft, in Zephyrhills, Florida, February 12th, 2012. 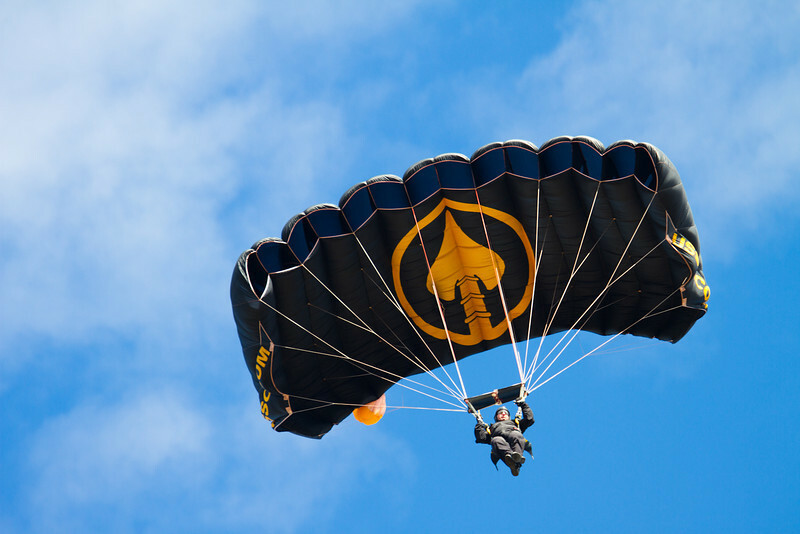 U.S. Navy Vice Admiral Robert Harward, the Deputy Commander of United States Central Command located in Tampa, Florida, is a U.S. Navy SEAL and regularly joins the SOCOM Paracommandos for their jumps in Zephyrhills, Florida. 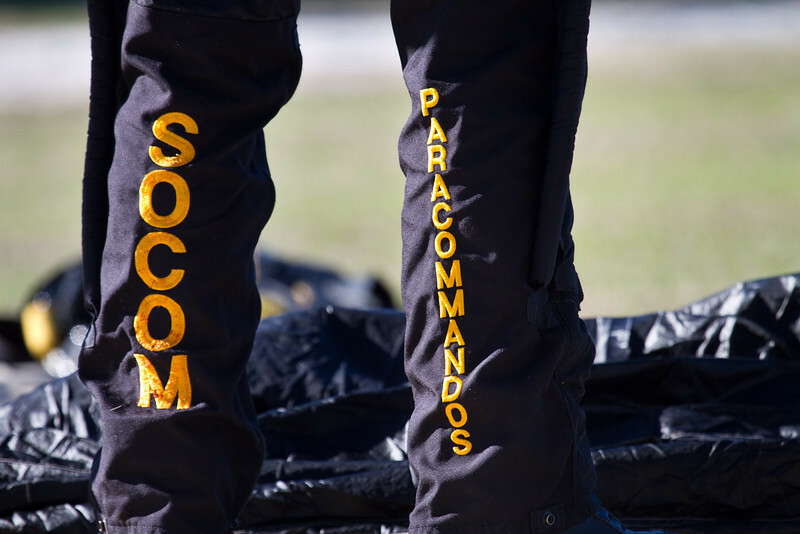 Paracommandos have specific training requirements in order to maintain their qualification including the proper inspection, maintenance, and packing of the gear that is kept within their packs. 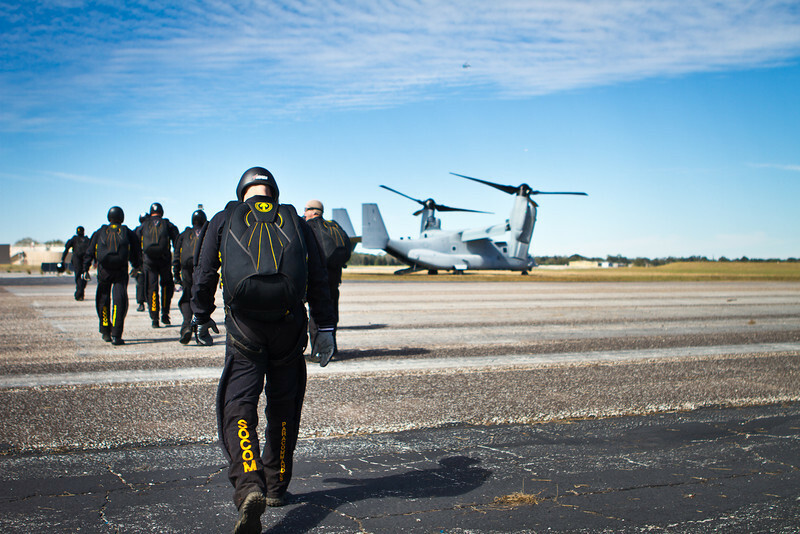 A group of SOCOM Paracommandos make their way to the MV-22 Osprey tiltrotor aircraft for a jump at Sky Dive City in Zephyrhills, Florida, on February 12th, 2012. 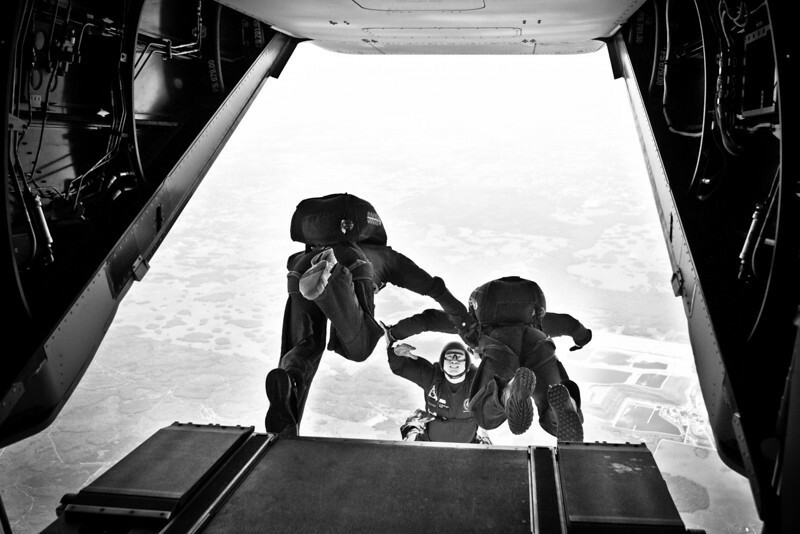 Two SOCOM Paracommandos descend from their jump out of the MV-22 Osprey tiltrotor aircraft which was used for a training evolution in Zephyrhills, Florida, February 12th, 2012. 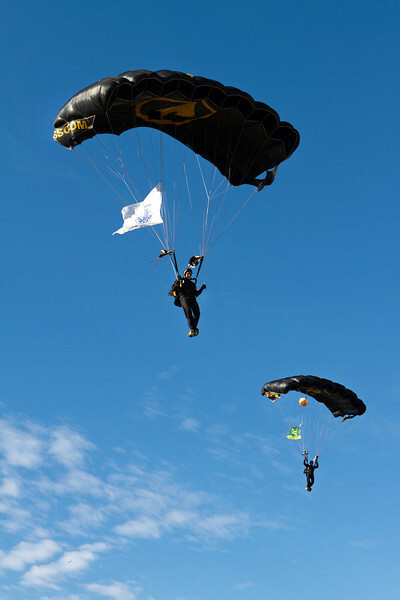 U.S. Navy Vice Admiral Robert Harward, a U.S. Navy Seal and the Deputy Commander of United States Central Command located in Tampa, Florida, approaches the landing zone during his jump from the MV-22 Osprey aircraft. 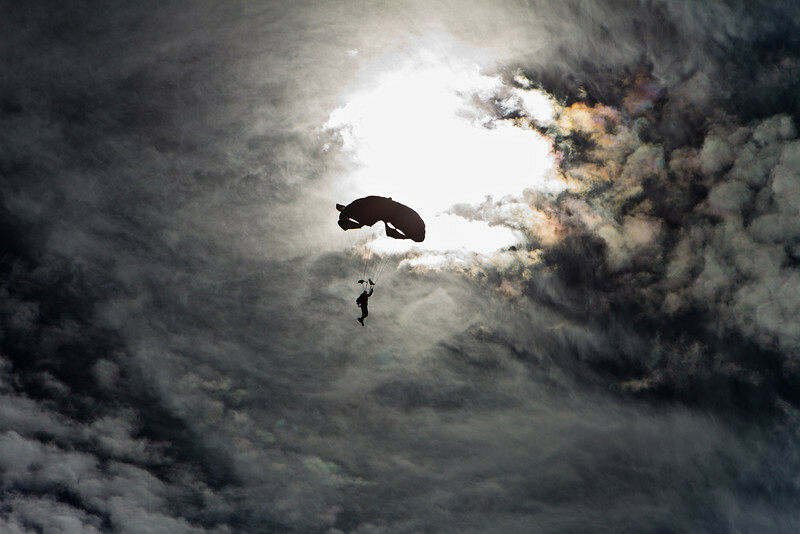 A SOCOM Paracommando prepares to land after jumping from the MV-22 Osprey at Sky Dive City in Zephyrhills, Florida, February 12th, 2012. 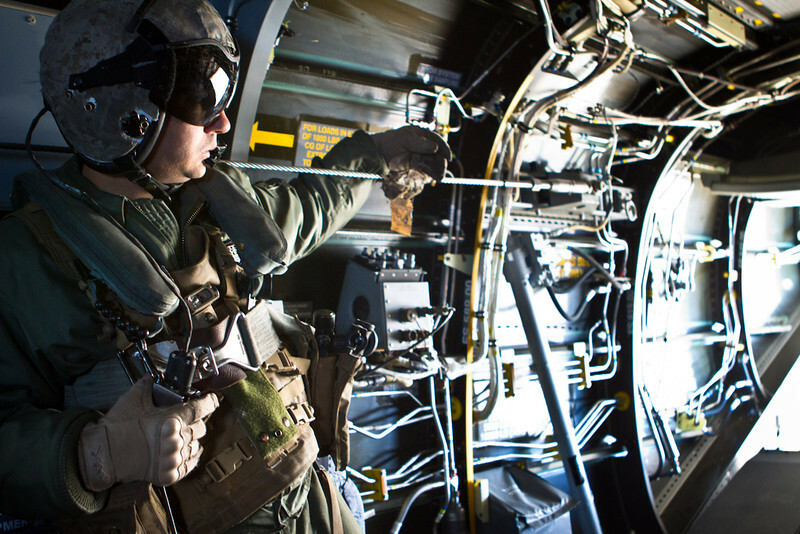 An aircrew U.S. Marine observes the shrinking Earth from the rear hatch of his MV-22 Osprey tiltrotor aircraft. 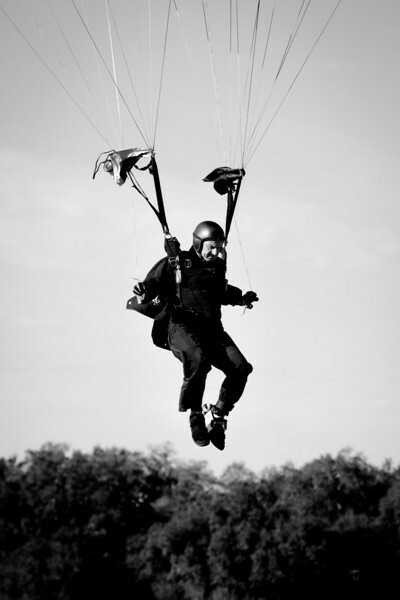 He was part of the team that assisted with the SOCOM Paracommandos training evolution utilizing the MV-22 aircraft at Sky Dive City in Zephyrhills, Florida, February 12th, 2012.